Ecommerce solutions for Group Gear resellers, VARs and MSPs, and a compare the market service to find stock in distribution. 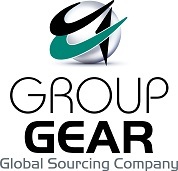 Group Gear has been serving the IT industry since 1986 distributing computer cables and accessory products. We are a well established manufacturer/distributor that has become one of the UK’s leading suppliers. Our mission is to continually provide our customers with the latest design technology products at the very best possible price. But more importantly we are committed to incessantly progressing to improve customer needs. Here you will find the latest collection of Computer Cables ranging from Audio/Video, VGA, HDMI & DVI to Network, Fibre Optics & USB Cables. Our Accessory Range includes mice, keyboards, headsets, speakers, webcams & many more accessories. Plus, our Laptop Bag Series boasts an array of styles from the traditional briefcase design to the trendy messenger bags and backpacks also featured in the range are the protective slip cases. Our comprehensive selection of Data Comms ensures a solution for all your connectivity needs. Group Gear a forward thinking, future building company, supplying the highest standard of computer products for worldwide distribution.